The resorts and cruise boats offer an excursion programme. Some of these programmes are scheduled while others can be arranged in your resort on your request. The scheduled programmes include visits to local island villages, uninhabited island, other resorts or capital island Malé. In an ‘island hopping’ excursion resorts or cruise boats may take you to another resort island or inhabited island or uninhabited island for a day or a half day tour. These trips will give you the taste of local island life. Sometimes you may get the opportunity to snorkel or enjoy a barbecue in one of these islands. Some local islands offer special crafts and souvenirs for the tourist which you may be able to buy during these island hopping tours. 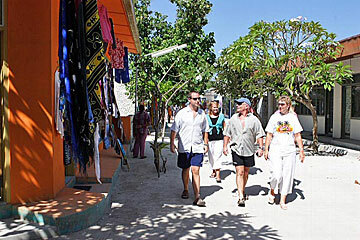 Excursions to the capital island Malé are organised by resorts or cruise boats on a regular basis. The resorts in Malé atoll have this as a fixture in their weekly activities. Other resorts in outer atolls may also offer opportunities to visit the capital. 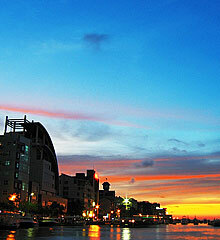 Malé is the commercial and political hub of the Maldives. There are places of interests in the capital worth having a visit to.